Richard C. White of the publishing watchdog group, Writer Beware, will hold a workshop on “How NOT to Get Published” from 10 a.m. to noon, Oct. 6, at The Lodge Des Peres, 1050 Des Peres Rd., St. Louis, MO 63131. This special event is free for St. Louis Writers Guild members, $15 for nonmembers. “Our goal is to share the latest information on literary schemes, scams, and pitfalls, and the most current information on what writers can do to protect themselves,” Rich said. Writer Beware hosts a popular blog, website, and facebook page. Writer Beware’s mission is to track, expose and raise awareness of the prevalence of fraud and other questionable activities in and around the publishing industry. Founded in 1998, Writer Beware is concerned not just with issues that affect professional authors, but also with the problems and pitfalls that face aspiring writers. Writer Beware is sponsored by the Science Fiction and Fantasy Writers of America, with additional support from the Mystery Writers of America, the Horror Writers Association, and the American Society of Journalists and Authors. 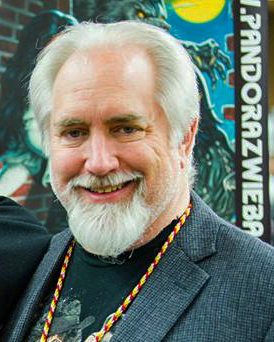 Rich is the author of tie-in fiction for a number of media franchises, including Star Trek and Doctor Who, as well as an original works such as Gauntlet Dark Legacy: Paths of Evil and Harbinger of Darkness. 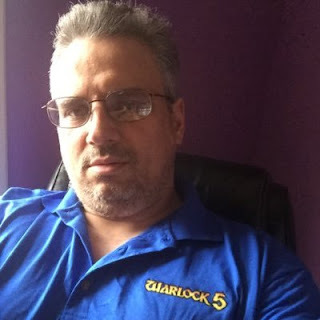 Among other interesting jobs, he has worked as a journalist, a substitute teacher, an independent comics publisher, an analyst for the military, and, currently, as a technical writer. Find him at richardcwhite.com or on Twitter @nightwolfwriter. Rich will have books to sell at the workshop, as well as at a joint signing from 4-6 p.m. at 6 North Café, 14438 Clayton Rd. in Ballwin. Joining him to offer tips on “Playing in Someone Else’s Sandbox” will be Jimmy Z Johnston, comic book writer of The Tick, Micronauts, and Warlock 5, and owner of Little Shop of Comics in Cuba, MO. Friend him @JimmyZJohnston and @comicsincuba on Twitter and JimmyZJohnston on Facebook.